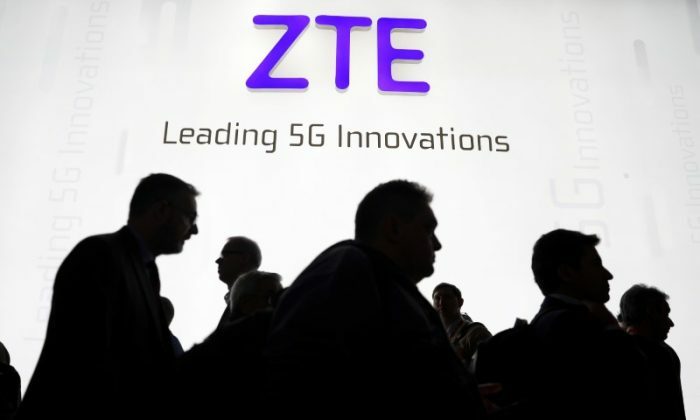 WASHINGTON—The U.S. Department of Commerce is banning American companies from selling components to leading Chinese telecom equipment maker ZTE Corp. for seven years, after it violated terms of a prior court sentencing, U.S. officials said on April 16. As part of the agreement, the Shenzhen-based ZTE Corp. promised to dismiss four senior employees and discipline 35 others by either reducing their bonuses or reprimanding them, senior Commerce Department officials told Reuters. But the Chinese company admitted in March that while it had fired the four senior employees, it had not disciplined or reduced bonuses to the 35 others. ZTE has sold handset devices to U.S. mobile carriers AT&T, T-Mobile, and Sprint. It has relied on U.S. tech companies including Qualcomm, Microsoft, and Intel for components. The U.S. action against ZTE is likely to further exacerbate current tensions between Washington and Beijing over trade. A five-year federal investigation that concluded last year found that ZTE had conspired to evade U.S. embargoes by buying U.S. components, incorporating them into ZTE equipment and illegally shipping them to Iran.